A bit academic at times, it does a solid job of providing a perspective on the major contributions to Beatles literature from the 60's to the present day. 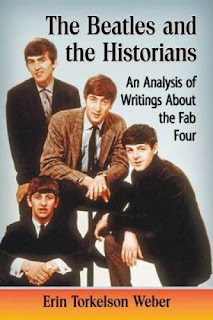 Having read most of them upon release over the years (starting with the Hunter Davies book up to Lewisohn's "Tune In"), it was interesting to see the framework the author provide for thinking about the major narrative themes that have evolved over the years through the various books and publications about the Fabs. Hey man, great comment here, there, and everywhere :). I'm with you, seeing the themes evolve and kind of morph into the next one over the years was a new way of looking at it and a way I hadn't thought to look at it.